Enjoy this guest blog that appeared today on Abbie’s Corner of the World. Thank you, Abbie, for reading my poem for the blogging world to enjoy, too. I truly appreciate this beautiful blog and am so glad to share it here on SCANdalous-Recollections today. Today, I’m pleased to have Lynda McKinney Lambert as a guest. 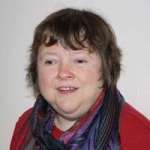 She’s the author of Concerti: Psalms for the Pilgrimage (Kota Press, 2003) and Walking by Inner Vision: Stories & Poems. (DLD Books, 2017) She’s also an artist and teacher who suddenly lost her eyesight ten years ago. You can read reviews of Walking by Inner Vision on my blog and on the Vision Aware site. Here’s one of her poems, which you can also read on her blog. 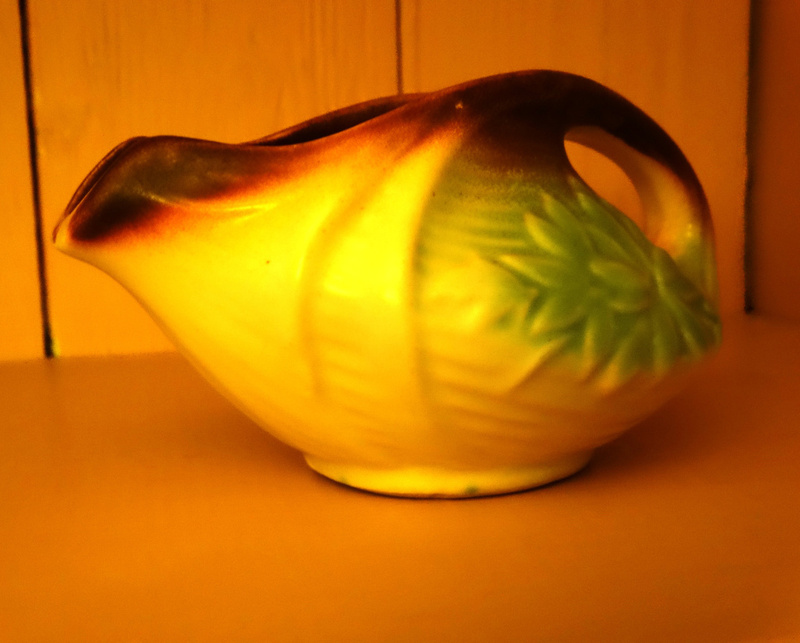 It’s about her grandmother’s cream pitcher, a photo of which is below. tart cherry desserts and homemade blackberry jam. I arrived at the Hambidge Center in Rabun Gap, GA in the summer of 1988. It was late at night. In the darkness, I drove into the driveway after my long journey from western Pennsylvania. I walked to the main house where I met the manager who would take me to where I would live for the next month. I was going to be doing a Residency and would be given a studio and place to live where I could do my art every day. It was a great opportunity and a dream come true for me. Of course, I had no idea what isolation truly was for I had just arrived at this isolated art colony deep in the Georgia mountains. My normal life was back in Pennsylvania where I managed my busy home and family. I cooked meals from scratch every day for my husband and 5 children. My homemade pies were famous among the ladies at my church. The first thing I did each morning was 3 loads of Laundry. In between the layers of the business of taking care of husband, kids, dogs, cats, and anything else that came up, I was a non-traditional student pursuing the Bachelor of Fine Arts Degree. Every spare moment I could find, I painted. Painting was my obsession. Driving up the steep mountain road, I followed his car. Then we turned onto a pathway to the isolated little house where I would be living and working. After the man left me there, alone, in the middle of the Blue Ridge Mountains – in utter darkness – I began to get an idea of what solitude would be like. While I was excited to be there, to have this opportunity, I was also stuck with the reality (and fear) of solitude. My life was changing. I was diagnosed with breast cancer just 2 months before this trip. And, my father died 2 weeks before the day I found myself alone at night in a strange place where I would live for the next month. My nerves were a frazzle. Article and Photography by Lunda McKinney Lambert. Copyright, May 16, 2017. Lynda McKinney Lambert. All rights reserved.